Over the last year, your Board carried out its mandate guided by APAI’s Mission Statement. All our actions were legal, ethical and respectful in spite of the frustrations generated by the fact that, without any penalties or consequences, the company breached the rules, 24/7 for many months in order to achieve its Commercial Operation Date before the June provincial election: We continued to promote, maintain, enhance and protect our natural environment and cultural heritage. We raised money to pay our legal bills. 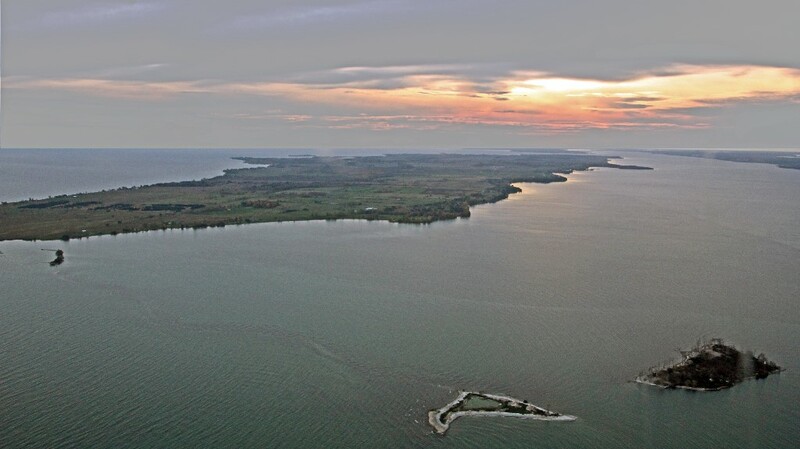 · the Coalition to Protect Amherst Island CPAI (2007) in reaction to the proposal by Canadian Hydro Developers (Vector Wind) and GAIA Power to build between 80 and 100 turbines representing 230 MW. It is also important to remember that APAI merged its resources, activities and membership with a third group that was incorporated in 2012: Save Amherst Island known as SAVE AI. Since 2006, there have been 4 proposals from wind developers to erect turbines on Amherst Island. Imagine 86 turbines on the Island! We should all pat ourselves on the back and congratulate ourselves for these 12 solid years of opposition. We were successful in opposing the first 3 projects that could have been 3 times bigger if it had not been for the community’s vigilant, strong, researched and informed opposition at all the stages of the different projects. So many people have been involved in trying to protect the unique heritage of Amherst Island and its wild life from the adverse effects of an industrial wind project. All of you who donated time, energy, knowledge, experience and money to oppose the project, contributed to maintaining the quality of our life should take a bow and feel proud that nothing was spared to protect the health and well being of residents and to preserve the unique environment and way of life on Amherst Island. Since the election of the Conservative Government, we can now appreciate that our David and Goliath struggle was doomed from the start. The outgoing government used the Green Energy Act as a shield and the Wind Lobby as its weapons to push this project through. As we learn to live in our modified environment, it is a meagre consolation that both the shield and the weapons have been disposed of with the downfall of the Wynne Government. It reinforces that none of the legal, fact-based arguments, scientific evidence and protection of the environment were ever considered. Today, as we witness the repeal of the Green Energy Act, we have the confirmation that a wind project located in an International Bird Area like ours was simply a political decision. Amherst Island was the perfect target: a remote non-liberal area where the greed of a company trumped the protection by the provincial government of the natural habitat and the quality of life of its residents. We can find comfort that our efforts were not in vain! Your 1500 submissions to the EBR were partly the reason why the project was delayed for several years. It allowed APAI to raise awareness of this senseless project, to gather support of numerous environmental organizations, to force the company to make modifications allowing some protection to our health, cultural and natural heritage. Today, 26 and not 36 turbines are turning, the dry stone walls are standing, the heritage buildings were preserved, MNRF put in place some mitigation measures to protect the habitat, the construction traffic was kept out of the Village and away from the school, the collectors was rerouted, the company is using higher powered turbines and lessening noise, the Ministries and the Township have been put on notice and know that the residents of Amherst Island are watching. we are sincerely moved by APAI’s members who believed in our actions. Just because we have to accept that Windlectric managed to barely meet its Commercial Operation Date, does not mean that we have to accept that it is OK to install an industrial wind project on Amherst Island. This is still the very wrong place! We should take be very proud that over the last 12 years, we stood up and never kneeled. We rightfully can keep our heads up and eyes forward! · To Save AI members who worked closely with APAI. · To our only representative on the Liaison and Community Working Group. · To the members of the Fundraising Committee. · All of you for responding to our call. In closing, please allow me to pay a special tribute to all APAI board members who served the organization over the last 9 years with so much dedication, professionalism, commitment, and perseverance at every stage of the project. Amherst Island was fortunate to have all of you. To all.. and you know who you are. Thank you …..We should be proud. Job well done!